I love fried rice. Fried rice does not love me back. 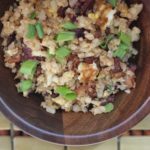 The rice causes inflammation in my joints and leaves me feeling too full and groggy. It is never worth it to eat the rice. 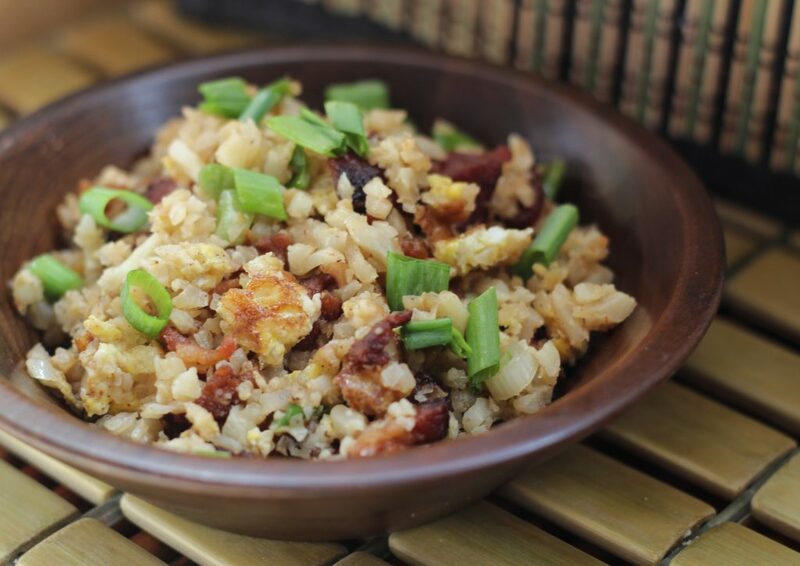 This recipe uses finely chopped cauliflower that is seasoned like fried rice. My family happily eats it all the time in the place of rice. I use green giant frozen pre-chopped cauliflower for speed and ease of clean up. Pair this delicious keto recipe with a marinated London Broil or Chinese Ketchup Chicken. 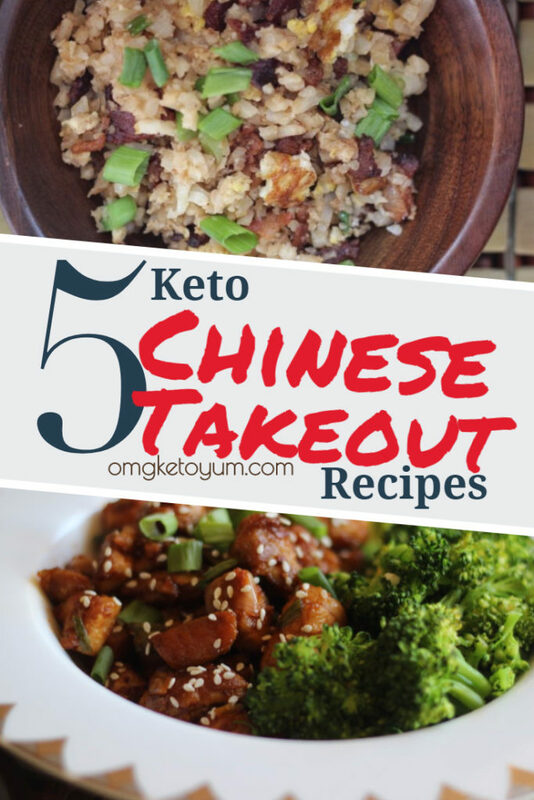 Don’t forget to check out my Keto Chinese roundup here! 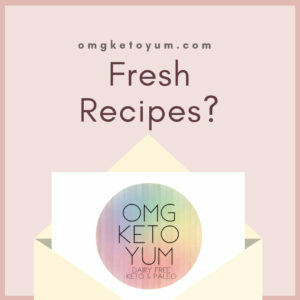 This recipe is Keto and paleo friendly! Enjoy! 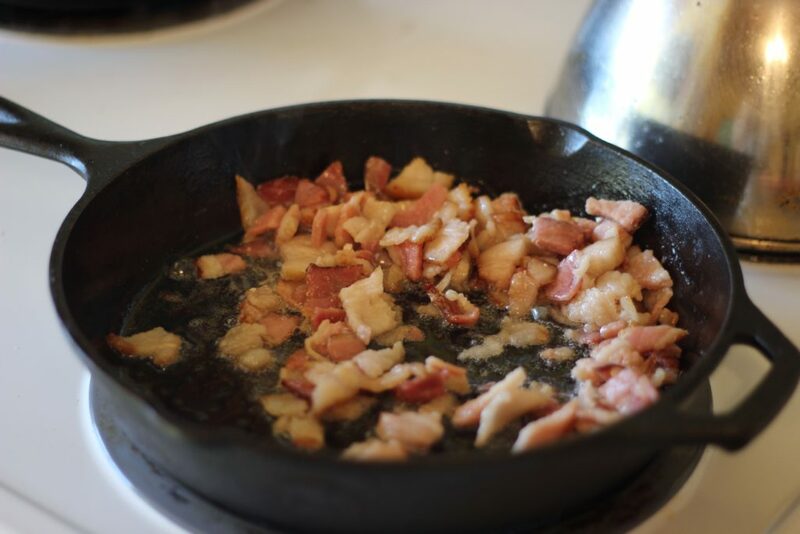 Chop the bacon into little pieces and fry in a cast iron skillet until crispy. Set the bacon aside. Drain the bacon grease and reserve about half of it in the skillet. Store the other half of the bacon grease in a jar for later. Whisk a dash of coconut aminos and the egg together in a separate bowl. 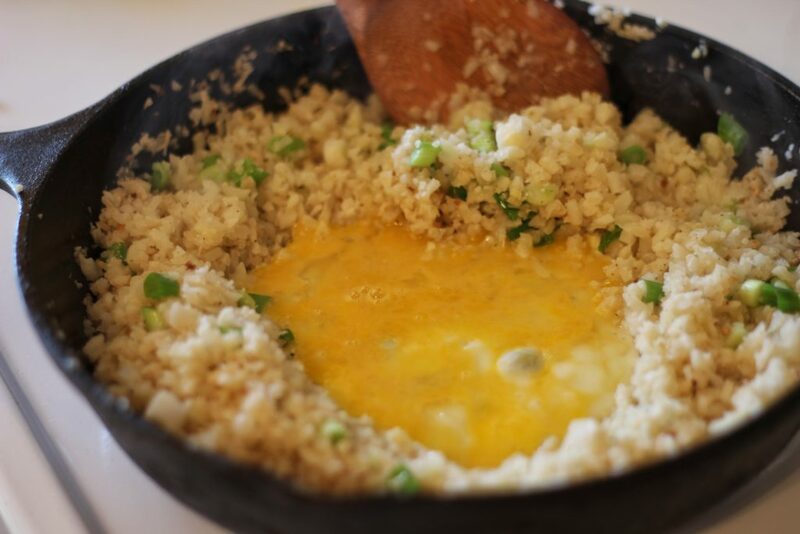 make a well in the center of the cauliflower and drop the scrambled egg in the well. Cook the egg until it sets. scrape the egg up and stir it into the cauliflower mixture. Add onions, bacon and other seasonings and sauces. Cook for another 1-2 minutes. Serve hot. This dish goes well with my Chinese Ketchup Chicken. 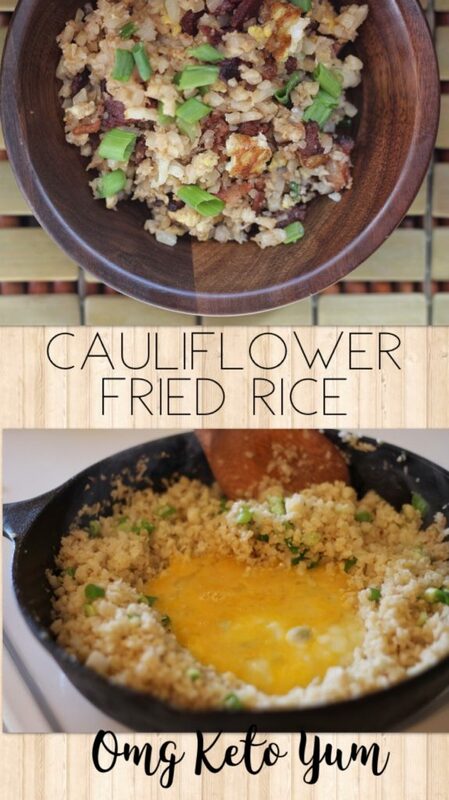 Fried rice without the rice! Super Shrimp! - Keto and Paleo - Dinner Done in 15 Minutes!